I can't believe Friday finally arrived. The sad thing though is that today is technically my Sunday. I've had a few days off and tomorrow I will be going back to work for three straight on. I know three days doesn't seem like a lot but 12.5 hour shifts are tough man! So today I am linking up with with Courtney from Eat Pray Run DC, Mar from Mar On The Run, and Cynthia from You Signed Up For What? for Friday Five. The topic this week is Five Races to Run in 2015. 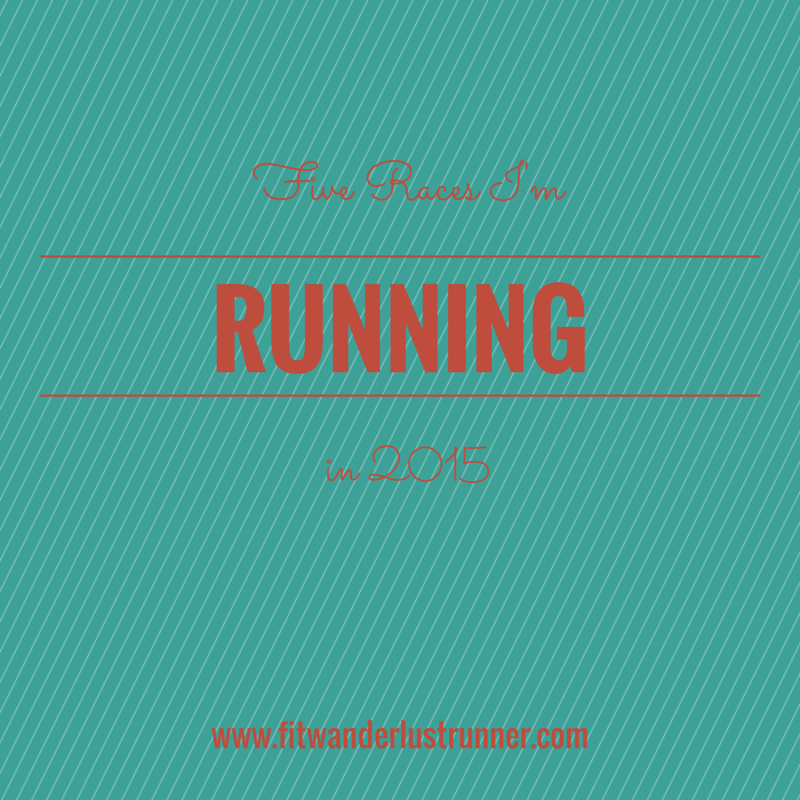 Since one of my goals for 2015 was to run 7 half marathons I am going to list my next potential races for this year. The Heavenly Half Marathon: This race is actually in a week and I am both scared and excited to run it. It is a part of the Sole 2 Soul Race Series here locally. This happens to be the first race for the series. It's a downhill course up in the mountains so I am looking forward to beautiful scenery while I run. Rock n Roll San Diego Half Marathon: I like to run this race yearly since it's in my hometown, I am actually able to run with my high school friends, and I get VIP access every time I run it. The Hell of a Half Marathon: This is the second race for the Sole 2 Soul Series and it is a hilly race in the middle of the summer. The name fits the race perfectly! It is an incredibly challenging course but if I want that extra medal for completing the series then it has to be done. Judgment Day Half Marathon: This is the last and final race for the Sole 2 Soul Series and where you get all the perks from running all three races. You get extra swag and VIP access so I am hoping I can really finish the series but being farther away might make this difficult. Rock n Roll San Antonio Half Marathon: This race is going to be a fun race with my high school friends. We'll fly out there, sight see, eat, drink, and run. It is at the end of the year so I have plenty of time to fit in some extra races to finish off my goal of 7 half marathons to complete for 2015. What is your next race for 2015? Any races out of town/state? The Sole to Soul series sounds fun with the extra perks and swag. The first race will be awesome with the scenery and downhill course. I hope you get to run all of them! I hear RnR San Diego is great! I did Vegas a few years back and it was awesome. I was supposed to do DC in a few weeks but my current injury has me having to pull out sadly. Love RnR races! Local race series are always fun! Hope you get to do them even if you move! Fun, I haven't heard of some of these races. Always nice to hear about other halves around the country that are not on the east coast. Woooah look at all those potential races! You rock, Daisy! I have no races signed up (yet) because I don't really consider myself a race-runner :P I don't think I love running THAT much. Maybe a 5k will be in the works....hehe. Happy Tuesday!